Hey there - I apologize for being M.I.A. this week. No, the carbon monoxide didn't get me, just millions of work things (Oh that pesky day job) and life things (What do you mean my car needs a new catalytic converter?!). This is where I once again vow to myself to write all of my blog posts the weekend before, so I'm not stuck being postless... and inspirationless...and hopefully not readerless. Anyhoo...enough hand slapping. Let's talk front doors shall we? 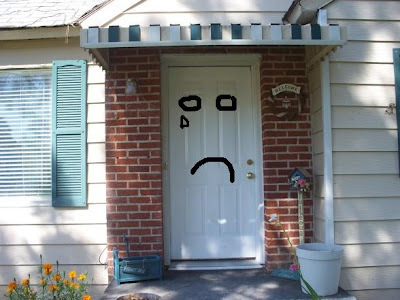 I always feel so bad for those little (or big) houses with sad, plain doors. Sometimes I just want to sneak out in the middle of the night and give them a fresh coat of paint and a nice fluffy wreath. You know...like a decorating bandit...with a black mask and a paintbrush in hand :). No problem sweetie, the decorating bandit is here. 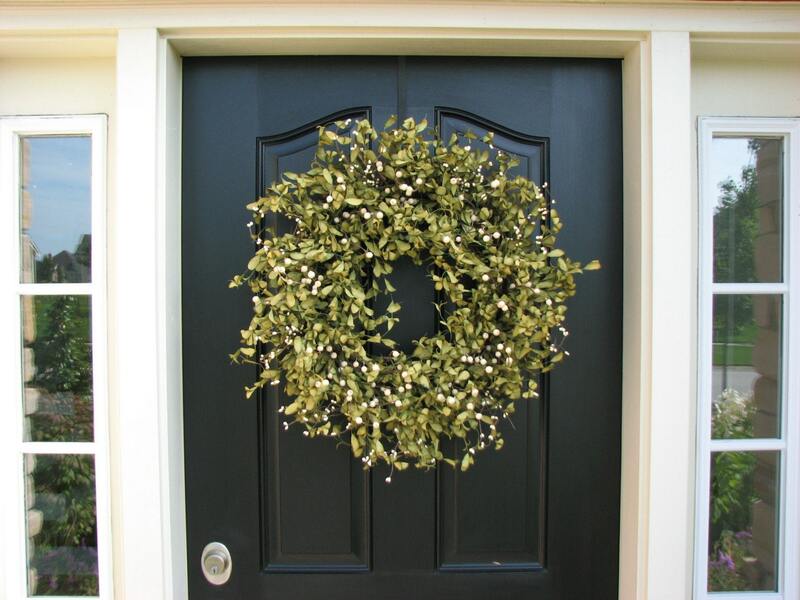 Let's just freshen up your door and shutters with some black paint, remove that outdated awning, and throw in some fun accessories. See? She's new girl...and all we did was add a little paint and a few accessories. (For info on how to paint a front door click here). I know a lot of us put off projects like sprucing up a front door because it just feels like too much work and too much money. 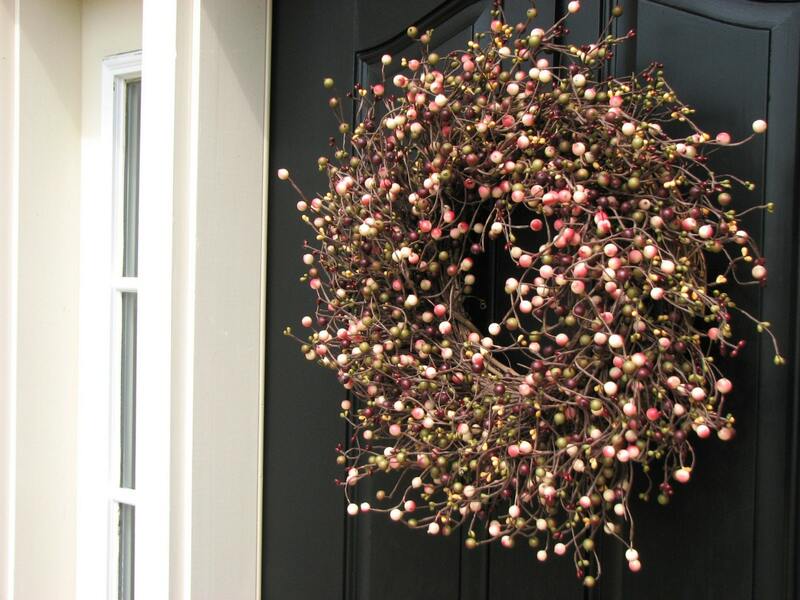 Just do what you can handle doing...whether that's paint or simply adding a new wreath. Even a little change will make a difference. 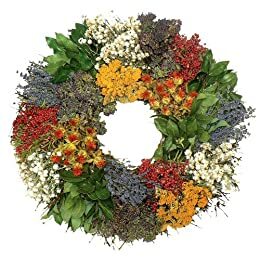 And speaking of wreaths, if you're in the market for a new wreath, here are some out there in internet-land that have caught my eye. Enjoy! I believe I'll be making a moss-covered initial this weekend. Thanks for posting the inspiration!!!!! I'd like to see more posts where you redo doors, even digitally! It was helpful, and I need help! How would you like to sneak over to my house and redo my doors? My doors are so stuck in the 60's, its embarrassing! Fun post! 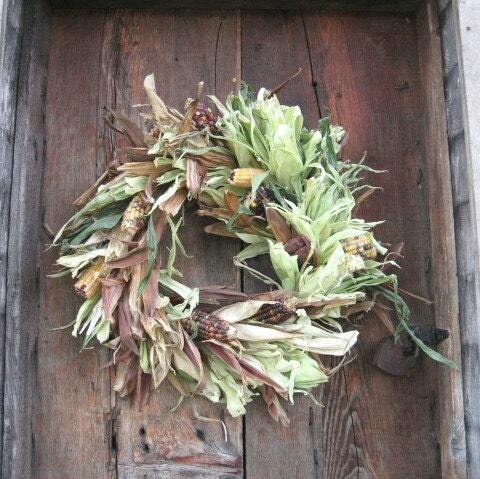 I JUST posted about wreaths on my blog yesterday. :) BUT now I want the top wreath from etsy that you posted, lol. Wondered what had happened to you - that poor unloved first door - I bet it wishes you really did live there - even in pretend world it looked better! Don't you just love ETSY? There are some talented folks out there - I could get lost for hours looking through the gorg things there! 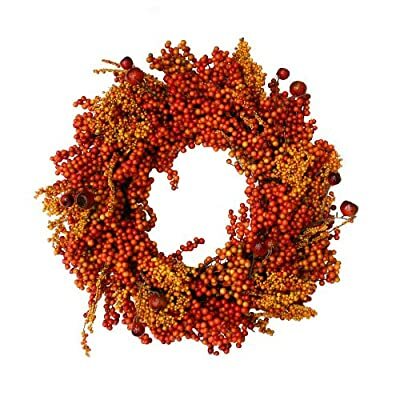 Love the wreaths - love fall!! My door is in desperate need of a makeover. I don't think it's been painted since the 60's, and has been peeling since then. No, wait...that's my whole house. Qué lindas las coronas, definitavamente le dan otro aire a la puerta. Me gustó mucho. My poor sad door needs a facelift. Thanks for reminding me and showing me how much better she could be. She definatly needs a wreath! 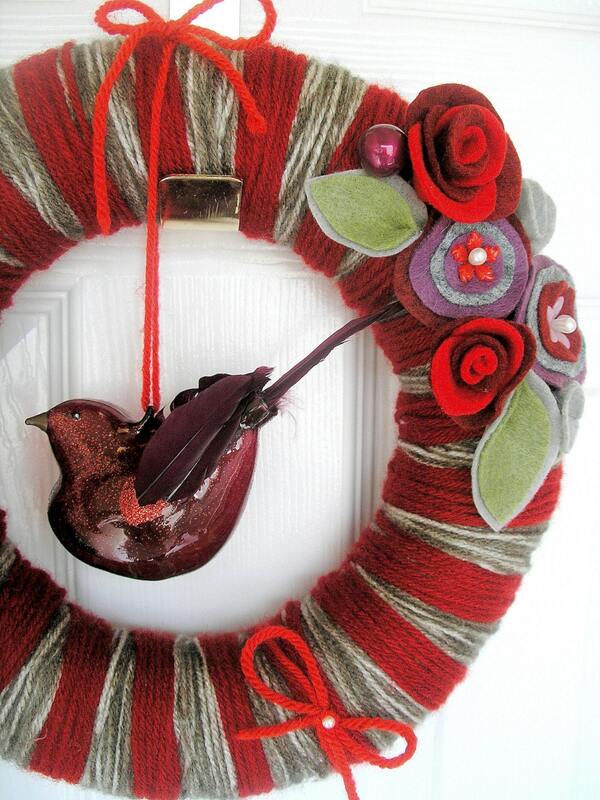 Love the wreaths! 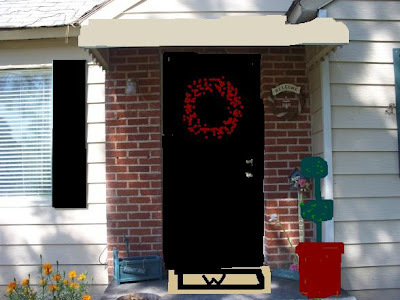 I finally got around to painting my front door (a beautiful raisin color) but have yet to add my house number or a wreath. 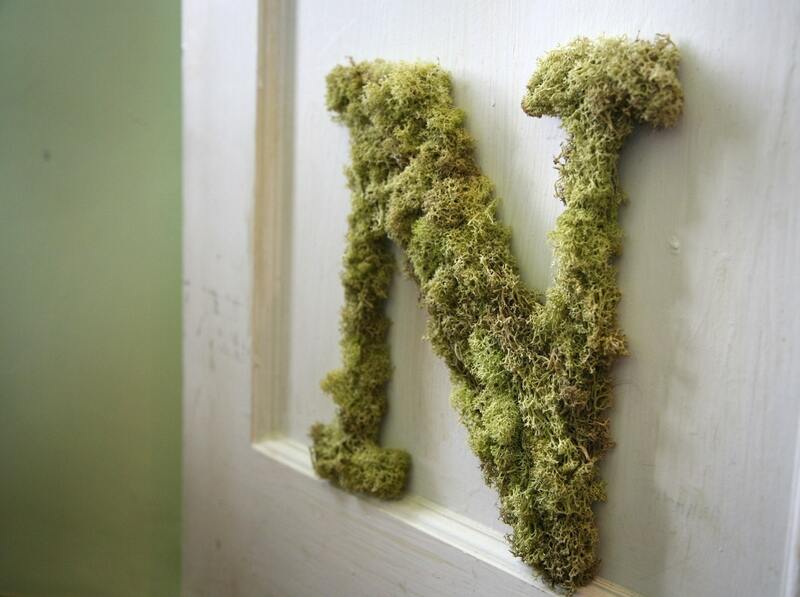 I am loving the initial made out of moss. Great redos! My door so needs a makeover! 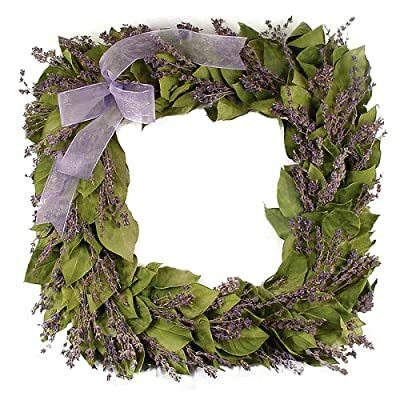 I like the wreaths! Especially inspirational with the holidays around the corner. I recently redid our entryway (you can see it here: http://tearinguphouses.blogspot.com/2009/09/before-and-progress-little-blue-house.html). I am feeling that moss-covered initial! Love it! Great blog ya have here! Amy Butler at Bed Bath and Beyond?!! !